Want to enjoy the great outdoors without the bugs? This screen house can give you an easy haven with quick and easy setup and a clear 360-degree view of your surroundings. 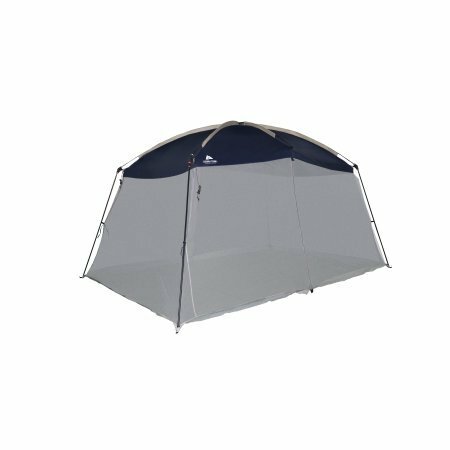 It's large enough for an outdoor dinner and lets in the air so you're not stifled, but still blocks the wind. The frame's fiberglass-reinforced steel poles along with the stakes and guylines keep your haven stable in the breeze. And with 117 square feet of room, your family can make a home of nature for the day away from the flies, bees, and mosquitoes.